Autumn has firmly entrenched itself up here in the Pacific Northwest. Snow caps the mountains, and the trees that line the highways release glinting flurries of orange and gold leaves every time the wind shakes its way through. It’s cold enough now to warrant a fire in the evenings, and sometimes the morning too. It’s this time of year that I keep something warm to drink at the ready: Spiced Butter Tea in the morning, Mulled Wine with friends in the evening, hot cider with the kids. Lately, I’ve pulled Cranberry Mors into our routine. A traditional Russian drink made by simmering tart berries with honey-sweetened water until they burst, mors tastes mildly tart and sweet. 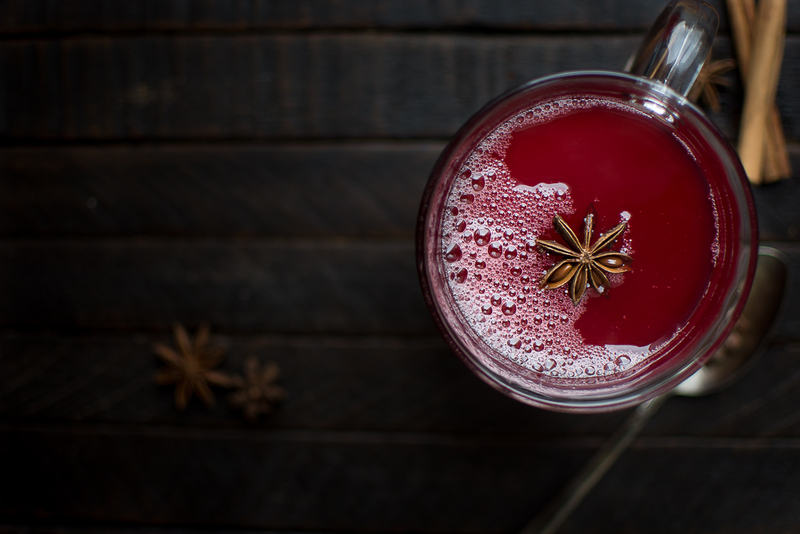 Though often served cold, I prefer to serve ours infused with sweet spices and warm almost like a hot, mulled cranberry cider. Tradition and folklore hold that mors, and particularly cranberry mors, helps to buffet the immune system against illnesses like colds and flu, and to help digestion when enjoyed before eating. There could be some truth to that as all tart berries are rich in antioxidants and vitamin C.
You might wonder at using whole cranberries rather than using only their juice. Here’s the trick: when cooked, cranberries release pectin, a plant fiber that gives mors a delightful, almost silky texture; moreover, pectin is positively loaded with benefits of its own. Researchers have found that pectin helps you to feel full longer (source), and that diets rich in pectin (and other sources of dietary fiber) support heart health and more optimal cholesterol levels (source). You can extract more of the berries’ goodness when use the traditional method for making mors by simmering the berries in water, straining them, and sweetening the resulting liquid. I’m excited to partner with Cape Cod Select, a vertically integrated family farm focused on growing and harvesting cranberries with sustainable methods like integrated pest management, water recycling and bee-friendly farming. 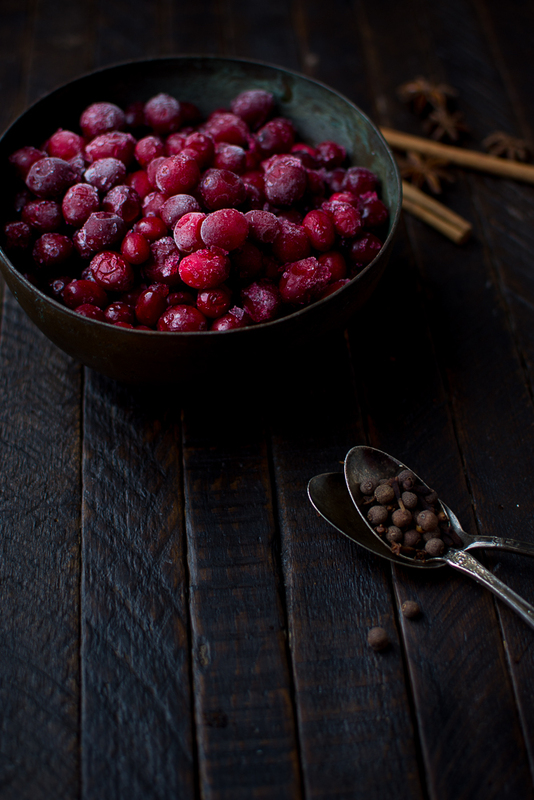 You can order fresh cranberries in season and frozen berries online here. Fruit’s antioxidant capacity and its vitamin load is at its peak when it’s harvested, and after harvest that antioxidant capacity and vitamin density begins to dissipate with time, and with transport. When they’re quickly frozen after harvest, not only can you use them year-round, but their nutrients are often better preserved. Like a cranberry cider, cranberry mors is at once sweet and tart. In this version, you simmer tart bright berries together with ginger and sweet spices before straining the juice and sweetening it very lightly with honey. The result is a beautiful vivid pink, sweet and tart liquid perfumed by warming spices like star anise, cinnamon and allspice. Toss the cranberries and spices into a stockpot, pour in the water. Bring to a simmer over medium heat, simmering until the cranberry skins burst. Transfer the contents of the pot to a fine-mesh strainer, and press them through the strainer into a bowl. Wipe out the pot, discard the solids left in the strainer, and return the juice to the pot. Stir in the honey and warm over medium-low heat until fully dissolved. Transfer to a pitcher and serve warm or chilled. This sounds great. I have some Lakeland pure cranberry juice- do you think i could try it with that instead of fresh cranberries? 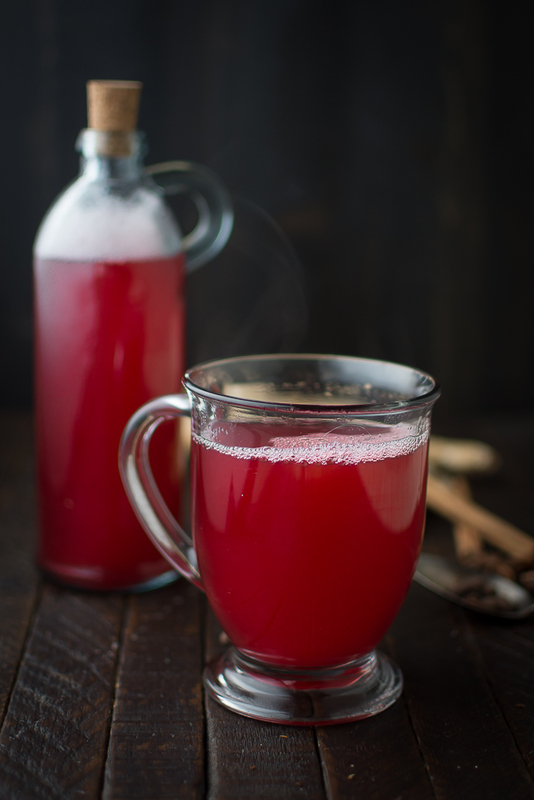 You can add spices to your cranberry juice, for sure, but it’s not at all like what this recipe produces. Cranberry mors is delicate, almost perfumed with spice and honey. It’s worth it to use whole fruit. This sounds like a really nice drink for a chilly evening. I like that it is healthy as well as tasty. It’s beautiful Jenny. Thank you. I don’t have star anise. Can i omit it? Or perhaps replace it with something else? Hi Jessica, you can just omit it. It’ll still taste amazing. It seems a shame to throw out (or compost) the solids! Any possible use for them? You could pick out the spices and add the remaining cranberries to a cranberry sauce, or spread them on goat cheese and toast. Sounds lovely! Would any modifications be needed, apart from the quantity of water, to make it with dried cranberries? Hi Elizabeth, I don’t recommend making this from dried cranberries. They really do need to be fresh or frozen. I love cranberries I am definitely giving this recipe a try!! I live in Nevada we are just NOW starting to get our cool weather I am sooo excited for snuggling up and drinking warm drinks with the kiddos! Hope you love it, Rebecca! Due to blood sugar irregularities, I cannot have honey so no cranberry sauce or cranberry jelly for a very long time. Do you think that this recipe could be converted to cranberry jelly using stevia leaves and gelatin? If so, how would I go about doing that? I would be using gelatin powder. How much would I use for these ingredients? This sounds delicious. I’m going to make the beverage using stevia too but hope I could also make the jelly. I’d just google “Cranberry Sauce with Stevia” and call it good. This sounds like a wonderful addition to my water kefir! If you double the recipe, should you also double all of the spices? No, I think you should keep spices as is, but might increase them if you triple the recipe. Dear queen of probiotic goodness–could this be fermented? 🙂 Just a thought…. So, how about a fermented version? Hi Jennifer, this sounds totally delicious and so good for you at the same time! What’s not to love. We are just heading into our spring but there still have been some cooler evenings and mornings, I think thus gorgeous drink would be just lovely served cold as well in our hot hot summers. This was easy and delicious. We’ll be making it frequently this season. Thank you! Going to try this! How would you incorporate ginger bug with this recipe? I have some ready to use. Thanks. I would mix 1/4 cup bug with 1 quart of mors, then let it sit in flip-top bottles for 3 days. How long does it keep for? I love this recipe and made a double batch about 5 days ago. I’d keep it about one week. I really want to make this but I only have ground allspice not allspice berries. Could I use the ground?